Featuring vivacious high-end sound and elegant style, the SV10 is an elite, flawlessly made three-way speaker system. The SV10's narrow profile is given additional emphasis by the side positioning of the high excursion subwoofer, allowing for an un-crowded placement in your sound system. This system provides exciting performance in any listening environment, and with superb sound radiation and rich timbre, the SV10 is perfect for music and home theater applications. The SV10 is internally braced - both vertically and horizontally - to ensure that the acoustic image remains free from cabinet vibrations and driver resonances. Audio grade MDF wood construction suppresses enclosure panel resonance for distortion-free, accurate response. By virtue of the tuned bass reflex cabinet, with ports in the rear and the side-firing 8 inch subwoofer, the SV10 produces a brilliant and dynamic low frequency performance. Coupled with Neodymium balanced pure silk dome tweeters - rare in speakers at this price - the SV10 provides a smooth and accurate high frequency projection. By utilizing only premium components - such as powerfully dimensioned, high-performance drivers - and boasting a distinct design with a classic natural beech finish, the SV10 offers a pure listening experience that will harmonize perfectly with any modern living area. I purchased these speakers 6 years ago and not only do they still look like they did when I received them but now that they are hooked up to a Premium JVC AV receiver with all heavy duty wires and banana plugs to a brand new 55" LG LED flat panel they sound amazing more today than how I had them hooked up before. Almost like they are now on their second life and I hear sounds now that I have never heard before. Everything is Optical connected and truly amazing. The bestthing of all is how Fluance takes care to ship them, the look is incredible, the price is too and all my friends think I spent a $1.000.00 for them so I just tell them to go on the Fluance site and see for yourself. 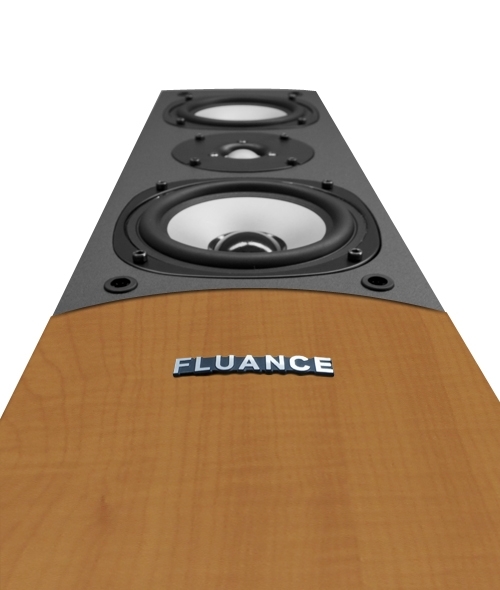 Amazing job Fluance. I have had these speakers for a couple of years now and I could not be happier. Clean, Clear and powerful sound with excellent imaging and detail. From classical to jazz and all the way up to hard rock, these speakers immerse the listener in sound much like a live performance. I replaced my PSB Image towers with these and now the PSBs are sitting in the closet. 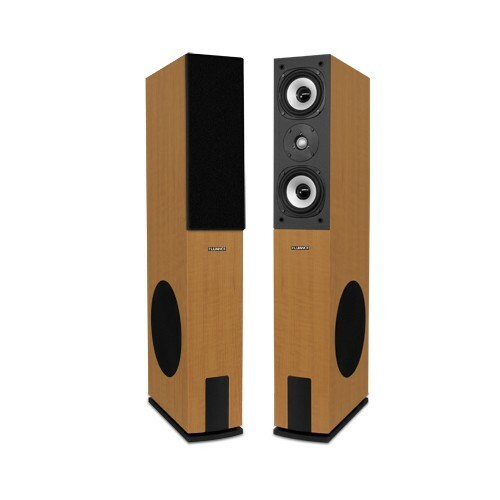 Once these speakers open up after a few hours of use they are very nice...and the price is way below what the sound quiality dictates. The construction is rock solid and the finish nice. I would prefer a real wood veneer but the finish provided is very durable, easy to clean and really looks great. Put a quality amp or receiver on these and they sing...even better, bi-amp and hold on for one h&ll of a ride. Music and movies all sound amazing. I bought these nearly five years ago and they still sound great! They are in a large room that is using an excellent older tuner w/o 5.1. I did not want to go the sub-woofer route and these handle the bass very well w/o any subs. One of my concerns before I ordered them was the possible appearance w/o actual wood veneer. Not to worry, they are very attractive and still look new. Polk had a comparable speaker design at over twice the price and these sounded better to me at that time. The quality is very apparent and the sound is amazing. I was impressed with the quick response and protective packing they used for shipping. Not like anything I had seen before from an on-line supplier. These perform well in a small to medium size room. They are good entry level speakers but they are weak on low frequencies and are inefficient so they require a receiver/amp with plenty of power because they are inefficient and 8 Ohm. I would suggest a receiver/amp with at least 120+ watts. The 8" side firing subs might be good enough for music, depending on what you listen to, but if your going to use these for watching movies I would add a separate subwoofer with a dedicated amp. Something that can fill in the low end frequencies, mid 20's-80 or 90 Hz. That way you will get the full effect of the movie and you can place the subwoofer in the room where it sounds best. I also recommend a receiver with an Audyssey Room Acoustics feature which, with help from a microphone that is plugged into the receiver, calibrates each speaker to sound its best from the main seating area i.e. couch, recliner etc. If your a little bit handy there are plenty of DIY subwoofer designs online. Parts Express sells some great subwoofer "kits" and there are other sites that have plans for DIY subwoofers. Building the subwoofer yourself will save a lot of money and you can design it to fit the style of your room.